Layovers are simply part of travel these days unless you pay more or get lucky. I really don’t mind layovers anymore since they have become part of air travel and give me time to grab some food or stretch my legs. The best part is you should remember you will earn a lot more miles flying on indirect flights then if you fly direct. So you can build up your mileage simply by taking a longer route if you have the time. I recently had a 7 hour layover in Kuala Lumpur and had never been in Malaysia. I did not want to miss out on getting a preview of a new country so I had researched how much time I needed to see a few major sites and get back for my flight. 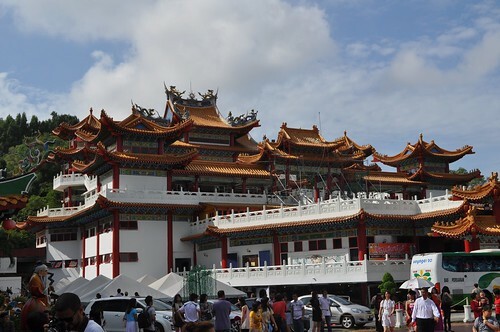 I arrived at 6:30am and my departing flight to Phuket was at around 1:30pm. I used travel forums such as TripAdvisor and FlyerTalk to find out how much time I needed to get to the city and back. While I am not a huge fan of TripAdvisor it does have a lot of valuable information. A lot of the basics are covered in the top questions of every forum. Seat61 is a great site for getting unique and detailed travel info. It is what I used most recently to figure out how to get from Bangkok to Siem Reap and it was spot on. TripAdvisor is handy for things to do in your short amount of time and how long you need to make it happen. It will tell you if a 6 hour layover in Kuala Lumpur is long enough or if you need 8 or maybe 10 hours. They have an FAQ along the side of each forum that are pretty reliable. I read I needed 6-8 hours to get to the city and back since it’s about an hour from the airport. I needed to be back about 90 minutes before my flight. The golden rule is 2 hours for international flights but I checked in a couple of bags with AirAsia before I left so all I would need to do is clear security. Returning 90 minutes before my departure was plenty of time. The next task was finding a taxi driver who would take me in to the city round-trip, show me some of the highlights, and get me back in 3-4 hours. The bus was not an option since it was so slow and takes around 2 hours to get into the city. I would’ve also needed a taxi once it dropped me off so that was not an option. I negotiated with the taxi stand operator and not the driver. Told him what I would pay and he found me a driver willing to take it. I read online it would be around $80 round trip to do this. I offered $30 USD each way and that was accepted. He took me to the Petronas Towers, the Twin Towers of Asia. They were amazing (tallest in the world until 2004). There was no time to go in but seeing them was great and all I needed. 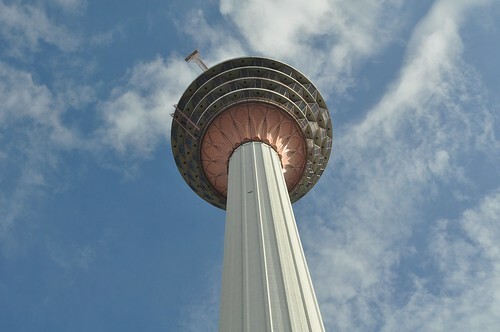 Kuala Lumpur Space Needle. Which I did have time to explore. We got there right when it opened at 9am and went straight to the top. It was $15/person and the view was great. I also noticed that this may have been the most friendly staff I’ve ever encountered or perhaps just the way the people of Malaysia are. You do not get a great angle of the towers but they are still great to see from this height. So this is not an ideal way to see a city but it is a fantastic way to spend a layover. I had time to wash up in the bathroom, eat a hearty breakfast, use the free Wi-Fi in the airport, and see some incredible sites in Kuala Lumpur all in 7 hours. And this was all after a 6.5 hr overnight flight from Seoul so there are no excuses not to make the best of any travel situation. I have been traveling to over 100 countries by using the methods I share on this site. My goal is to maximize every trip and make the most of my adventures. Join me on Instagram. Thanks, this was extremely helpful information for planning what might be a great lay-over in Kuala Lumpur. It was completely worth the trip into the city to see the towers and enjoy a long layover. Might as well make the most of your time traveling when you have the chance! Hi Susan, you sound like a KL travel pro! Managing 12 people is no easy task. You definitely have plenty of time to visit the city center and return to the airport before your next flight. I think your best bet would be taking public transportation if the timing worked or prearranging a van to take you into the city. However, I do not recall seeing too many large taxis and one that can accommodate 12 might not be possible. However, breaking up into two groups might make it more manageable and still economical. Let me know if you need any suggestions, have a great time! 5 hrs is going to be tough. I would recommend 7 hours but you could do less if you truly just want to get into the city, snap some photos and get out. Some things to consider are being back to the airport two hours before departure. This can be shortened if you have carry-on luggage or can check-in before you head out to see the city. Assuming it is an international flight you will want to give yourself plenty of time. That said, it could be done but when you arrive you need to quickly find a driver and get downtown quickly. Double check his opinion on travel times in/out of the city and go from there. Have a great trip! 6 hours should be time to see a few sites. It will be brief but its worth it to see those towers! Have fun! Amazing blog post Clint! We also have a 7 hour layover on our way to Bali from Switzerland. I will probably print this and use it as a guide! Did you stop off anywhere to eat? Is the KL airport hard to navigate through on your way back in? Perfect amount of time for a layover. We did stop to eat but it was no place special. The airport was simple on the way back. I actually returned with a little too much time but didn’t want to miss my connection. Have a great trip and let me know if you have any questions! Any advice? It’s either the sights or an airport pool are the options! I would hire a large taxi to drive you around for the afternoon. That is plenty of time to escape the airport. Public transportation is an option with that much time but a little harder with 3 kids. Plan out a few major attractions you would like to see and have your taxi driver be your tour guide for the day. You can negotiate a price before you agree to the afternoon trip. Have fun! Thanks Clint any rough suggestion on approx how much we should pay? I think a large taxi (5-6 passengers) is round $50-60 to the city. Smaller taxis are closer to $20 but whichever you can fit your family on just plan to double that price for the return trip. From there its all about the negotiation with the driver. Work out an hourly rate and add that to create a flat rate for the trip. It isn’t exactly cheap but for a private driver for the day its not bad and nice to get out of the airport. You could also look into a private company and plan this before you arrival. That would save you time and any onsite negotiating. thinking probably space needle and petronas towers are definites any other must sees would you say? also what are the private companies you are referring to? thanks so much for this information by the way – opening up another short sightseeing visit we wouldn’t have done! Those are must sees and I’d try to make time to sit down for a nice meal while you’re there too. Experience some of the food. I haven’t used or booked any private transfers but they do exist if you want to research them and contact one. The taxis are just fine too if you don’t want to bother I was just saying it’s an option to take care of payment before arrival. However, it could be a little pricier. Have fun on your trip! We have a six hour layover in November. So happy to have stumbled on your page!! Great to hear you had a great time and thanks for the trip update! I am amazed you didn’t get stuck in the traffic jam. Glad that you enjoyed Kuala Lumpur. Hi Clint, my fligh lands in KUL at 10AM and my connecting flight is at 9.15 PM. I want to be back in Airport by 7.30 PM, considering getting out of airport and getting a taxi would take 30-45 Minutes, so I have about 8-9 hours, -2 for travel from and to Airport. So now i got 6-7 hours. Do you think thats good enough to cover all places you mentioned, including going inside the towers? Can I do may be a little more than these places? And most importantly, how is the traffic in KL? Thanks!! Absolutely! 6-7 hrs is plenty of time to get around. Traffic can be bad but you have the additional buffer time. I didn’t go up the towers but if you book it in advance that might be an option. You might be able to find additional info on their site but you have plenty of time to see some highlights. It may be the most obvious travel-related job, but it’s also one of the most accessible: You don’t need a specialized degree to become a flight attendant, and most major airlines only require prior customer service experience and a certification from the Federal Aviation Administration. The hours are frequently erratic, and the work isn’t always easy, but you’ll get a glimpse of hundreds of cities across the globe during your career. A bonus perk? Free or discounted flights for you and your family. If you want to travel for a living while making a real difference in people’s lives, consider working for an international aid organization like USAID. With this job, you can visit struggling countries and help its residents recover from dire situations such as natural disasters and famine. You’ll need a background in a field like health, agriculture or education and a strong interest in social work, according to How Stuff Works. Exploration geologists help resource extraction companies identify the most profitable places from which to extract natural resources. Since extraction tends to happen in places that aren’t very well-populated, exploration geologists get to travel to some of the most remote regions of the world, and can be away from home for months at a time. Working on a cruise ship is a travel lover’s dream gig: You quite literally make a living traveling the world, all while receiving free food and accommodations. Whether you’re a restaurant server, a shop clerk or a performer in the cruise’s entertainment lineup, there are opportunities for individuals of all backgrounds to work on one of these “floating resorts.” Websites like Cruise Line Jobs list employment openings with some of the top-rated cruise lines. Imagine spending your days guiding fellow travel lovers through a bustling European metropolis, or perhaps a small local village is more your speed. Wherever you want to go, popular travel destinations are always in need of friendly, knowledgeable guides to lead tourists through city sights and cultural excursions. Study up on the history and culture of your city of choice, and don’t forget to brush up on the local language! Archaeologists travel the world to recover and preserve artifacts from past human cultures. Careers in archaeology require frequent travel, often to remote regions of the earth. A benefit of speaking one of the world’s most popular languages is that there are people all over the world who want to learn it. Teaching English in a foreign country is one of the easiest ways to get out and see the world. Many teaching positions in foreign countries do require a certification, but you can easily get one in about a month’s time. It may not be the most glamorous of jobs, but playing a behind-the-scenes role in the life of a corporate executive or other high-powered professional means you’ll be right alongside your boss on his or her business trips. Since individuals in these positions travel quite frequently for important client meetings, you’ll have plenty of opportunities to see new places while you work. If you love traveling by sea and have a passion for learning more about it, then there is probably no better career for you than that of an oceanographer. Oceanographers often split their time between laboratories and research ships, where they can spend months away from home visiting remote regions of the ocean. (1) International Marriage Broker Tour Leader. If you love to travel and are single this is absolutely the best job you can imagine. International Marriage Brokers travels the world holding single events in some of the most beautiful places on earth. Each week companies like A Foreign Affair travel to exotic locations in Eastern Europe, Asian and Latin America. Business men and professionals travel in groups where they will attend single events that A Foreign Affair call socials, at these social events the men will meet 500 to 1000 beautiful single women and models. The tours consists of social, dating and site seeing, all while interacting with dozens of men and women falling in love. 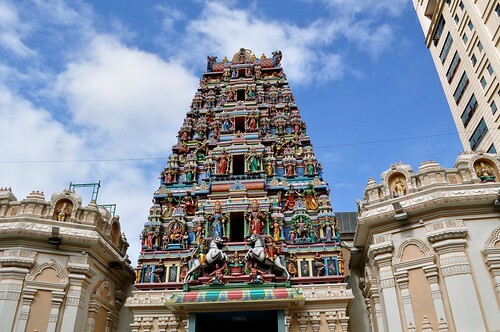 I am traveling from Singapore to India and have layover in KL. My flight reaches kl at 3:30 pm and connecting flight is at 10:00 pm. Can u suggest what places I can visit. Would it be safe to go in city for timely return. Hey that’s a great blog you have. I am just wondering what procecures to follow to get out of the airport and get back. My friend and I (20 years old ) are planning a trip from Manila to Indonesia and from Indonesia to Cambodia. On both flights we are planning to have a lay over of more than 10 hrs in Kuala Lumpur and Singapore so we could explore the place. Do we have to go through the immigration to ask for pemission if we could go out of the airport? What should we do? I hope to hear a response from you. That would be great. Thanks. this might be too late for this respond, but can be reference for other person. for layover. u dont need permission, u can simply store luggage at airport if you dont intend to carry it around but bring along ur passport with you. once out from airport, u can take bus, taxi or ETS( fast train direct to city-kindly see schedule before buying the ticket).from there, plan your journey.. make sure. time to and fro airport-city is 1 hour. kindly deduct 2 hours from ur layover time. I know I am posting in an old thread. I see some experts here. How do I get a visa in the airport to get out into the city and come back during the layover time? I am on Indian passport, travelling from Singapore to Hyderabad via KL. I’m on Indian passport travelling from Bali to Bangalore via KL. Please share your experience if you have completed your trip. I’d like to know if there is any requirement for visa for going out of the airport during transit. If yes, how to get it? How about inserting Batu Caves on this trip? Would it suffice the time to get back at the airport? 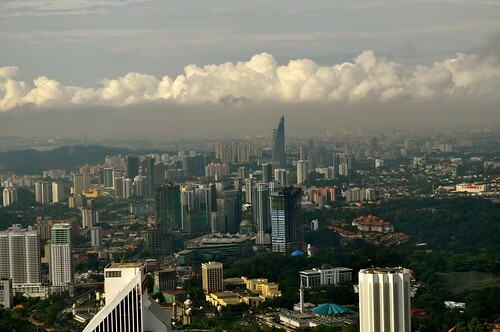 Kuala Lumpur is one of my favorite places in Asia. hi ! 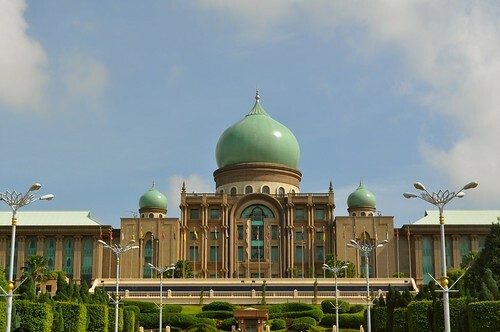 clint , I am travelling to Bali and have a layover of 10 hours at kuala lampur and I plan to go visit the city. I am travelling by Malindo airline, the airline told me that I have to take my baggage at Kuala Lampur and then check in again later, Do you think that would consume time?? yes, you have to take your beg with you if it is not transit flight. but you can store it at the airport (pre checked) if you dont need it along with you..
as long as u have sufficient time back to airport. it should be no problem. make in min 2 hours before depart must be at airport. to ensure smooth operation..
10 hours of layover.. (2 hours back n forth airport-city-airport) u only have 8 hours for visiting..
what time will u reach in Kuala Lumpur? Hi sir! Just wanted to ask if I can still take picture of the famous petronas tower even if it is close? Coz I will have my layover Monday.. And as I researched, the tower is close every Monday.. is it still.possible to capture it and have some good shot with it? 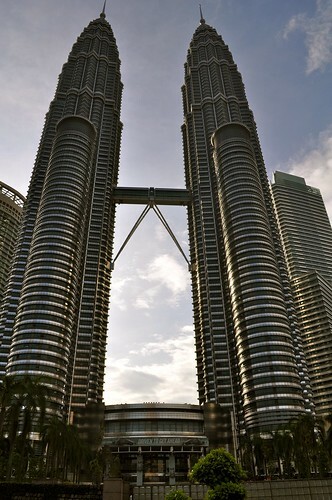 The twin tower is divided into corporate and shopping mall. The access to mall is daily. You have to pay if you wanna enter the twin tower bridge. I would like to say that, this would be so much amazing for me and for sure others too. I really like this way of sharing and wanna share with others too. Hi Clint, I am doing my first international trip in March, on the way back we have a 12 hour layover on a connecting flight, is there any tips you can give us? it is a party of 2 check checked bags, we get in at 10:20am depart at 10:40pm. thanks in advance. Hello, this might be a stupid question to ask though but does your passport get stamped for layovers? like when you go out of the airport for this kind of quick travel in between connecting flights? thanks in advance! HI SIR. I HAD FLIGHT FROM BANGKOK TO VIZAG ( INDIA ). IN BETWEEN I WILL HAVE 9 HOURS IN MALAYSIA ( LAY OVER ). CAN I COME OUT OF AIRPORT AND VISIT MALAYSIA CITY WITHOUT VISA. I HAD ONLY BANGKOK VISA. can we move out of the airport with transit visa ? yes i can see the city if kuala lumpur because i have 10 hours of lay over this coming sept.
HI JOHN ,I AM TRAVELLING TO PHUKET ON 29TH SEPTEMBER I HAVE 6 HR LAYOVER AT KUALALUMPUR,I AM AN INDIAN RESIDENT CAN I GO OUT AND COME BACK DURING THAT TIME . DO WE NEED ANY FORMALITIES? LIKE TRANSIT VISA? I have a 7 hour layover in KL later this month. Have you been recently? Some people on FlyerTalk are saying there are long lines at immigration? And do you have to get a transit visa?